After 20+ years of collaborating with clients to create custom content for a variety of readables and collaterals that communicate (and, a tad more mischief), I think about SEO as part of the foundation of how the bots and search engines “see” content on your site. You know, of course, that there are many more search engines than the most popular. It is words that feed the bots and analytics. Since every site has an intention and/or focus, the density of the keywords is essential. Within measurable limits, there can and should be a certain percentage of keywords per an average 500-word article on a site. Sometimes that density can be a bit higher and still not be considered “over-stuffing” by the bots. Too high, however, and the bots will “reject” the density; and, in fact, penalize a site for using way too many keywords. There are companies (small and large) that you can pay to create keyword and SEO content. Thing is, when you stop paying those companies, your site ranking drops, at best, or plummets. Of course, there are certain keywords that are very competitive to pay for for SEO and keyword density, to up the ranking on search engines. The more universally popular and/or desirable a keyword is, the more expensive it can be to pay someone to rise up your site via search engine rankings for that keyword. The very best SEO is organic, keyword density; and, that means creating content that consistently and regularly centers on the variety of keywords associated with your site, focus and intention(s). Also, there are things called “short tail” or “long tail” keywords. That’s an extension of SEO involving content that, somewhat, “surrounds”/extends your keyword(s), employing variables of your keyword(s). This is accomplished mathematically and, again, can shift and change as more and more content/sites are jumping onto the ‘net. Much more explanations can be found by putting “short tail” or “long tail” into your search engine. Search engines are constantly and consistently shifting and refining their bots for keyword density and SEO. In other words, what was true at one time may have shifted and may not be so true at this time or at a later time. 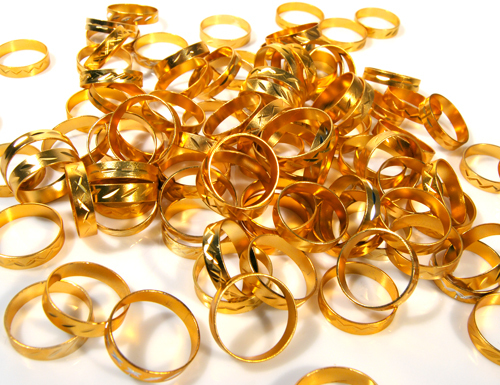 Metrics, analytics, keyword density acceptability and all are capricious and everyone is chasing that “gold ring”. Another item to note re: searchability and search engine ranking is that most folks do not go to the first, second or third listing via a search engine for keywords. It’s thought that those placed there are either paid search rankings (i.e. “false”) or too expensive for whatever one is searching. The best placement via a search engine search is #4-10; nevertheless, over time, that can change, too. REMEMBER: Words drive the ‘net. Organic, custom content, with prevailing, accepted keyword density is the best. That means creating original, SEO content. Study the history of the world wide web, on which the ‘net “floats”, and one will better come to understand and employ SEO. Or, you can ignore all the apparent rules and, simply, write what you want. Now, go and create original, custom content, that tells a good story – again and again and again. NB: This article, in a slightly different form, was written as an e-mail response to a dear Friend’s question about how I learned about SEO and how they, too, could learn about it. Thanks, DK, for asking. This entry was posted in New and tagged custom content, independent writer, internet, Jessan Dunn Otis, long-tail, organic, rankings, search engine optimization, SEO, short tail, The Net, website content, words, world wide web, writer, writing on September 7, 2016 by Jessan Dunn Otis | Writer.